The Christ the Center panel had the pleasure of revisiting Rev. Dr. John Fesko, now the academic dean and associate professor of systematic theology at Westminster Seminary California, abut his new Reformation Heritage Books volume, The Rule of Love: Broken, Fulfilled, and Applied. Fesko explains how the Christian is to understand and appropriate the Ten Commandments. The role of the law in the history of redemption as well as its place in redemption’s application is discussed. 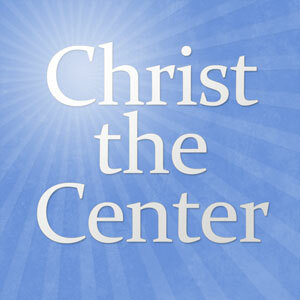 At the end of the day, Christ is the lens through which we are to read and contemplate the law. Thanks to Reformation Heritage Books for offering discounts to our our listeners. Estelle, Bryan D., J. V. Fesko, and David VanDrunen. The Law is Not of Faith: Essays on Works and Grace in the Mosaic Covenant. Phillipsburg, N.J.: P & R Pub., 2009.
â€”â€”â€”. The Rule of Love: Broken, Fulfilled, and Applied. Grand Rapids Mich.: Reformation Heritage Books, 2009. Kline, Meredith G. Kingdom Prologue: Genesis Foundations for a Covenantal Worldview. Wipf & Stock Publishers, 2006.